Featured! YoYoSpin Home | About Us | Opportunities | Sponsorships | Contact Us! This week I was fortunate enough to chat with Ed Davidson, proprietor of the popular YoYoSpin shop on Etsy and the informational website under the same name. 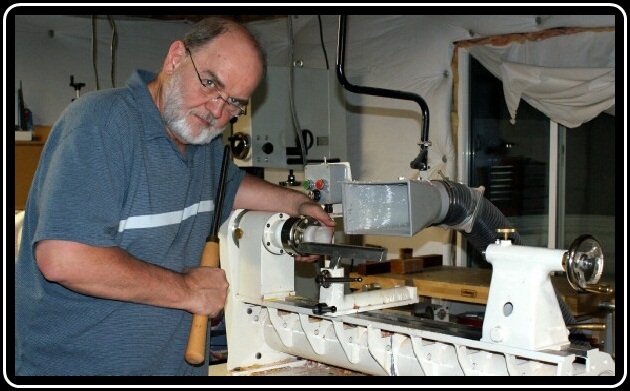 Ed is a truly skilled craftsman who stretches the abilities of the common shop lathe to do extraordinary things – all in the name of fun! Ed creates a huge array of stunningly beautiful yoyos that are popular with newcomers to the art and professional competitive yoyoers as well. I hope you enjoy this week’s interview as much as I did! After leaving the Marine Corps in 1972 and finishing college, I worked in aerospace and defense for 25 years. But during all that time, I yearned to be on my own, free from the stress of making payroll, sales and revenue forecasts. So in 1996, I chucked the timecard, moved to beautiful Colorado Springs and began working with wood in a serious way. How did you get interested in making yoyos in specific? During the next five years, I tried just about everything, from cabinet and furniture making to bandsaw boxes and toys. But in 2000, I discovered the lathe (re-discovered it from high-school days), and began turning wood pretty much full time. The lathe has a certain appeal over other woodworking tools. To me, it was the instant gratification achieved from finishing a lathe project in a day, versus the week or month required to build a table, chair or jewelry box. Once I got hooked on the lathe, the next consideration was what area to concentrate on. I had always heard that to be an expert at anything, you have got to spend a lot of skill-building time at it. There’s a popular axiom called the “10,000 hour rule” that I subscribe to…meaning, at 8 hours a day, and 5 days a week, it’ll take the average person 5 years (10,000/8 hours/5 days/52 weeks = 4.8 years) to become an acknowledged expert in just about any worthwhile endeavor. If you believe that, then it’s important to focus your time on a narrow set of skill building tasks. 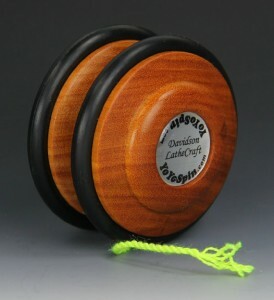 And for me, the focus turned to yoyos. Why? 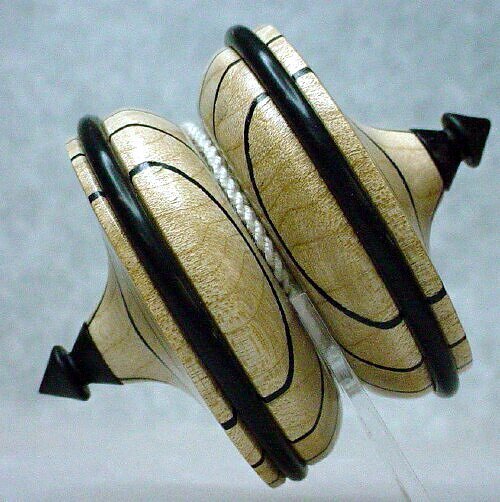 In large part, because very few wood turners make yoyos, giving me a pretty good chance of actually being able to sell what I made. And, since I like to stretch the boundaries of design, it seemed like a natural philosophy to never make the same yoyo design twice. These concepts pushed me into the realm of making collectible one-of-a-kind yoyos. The materials you use are absolutely beautiful, and they look as though they were meant to be transformed into yoyos! How did you start working with these materials? Exotic woods, mainly from South America and Africa are the primary mediums that I work with, but I’m also attracted to bright colors, which has lead me to experiment with plastics and composites. In the end, the main objective I’m trying to achieve is uniqueness, so the materials I choose to use on a given project really need to stand out. 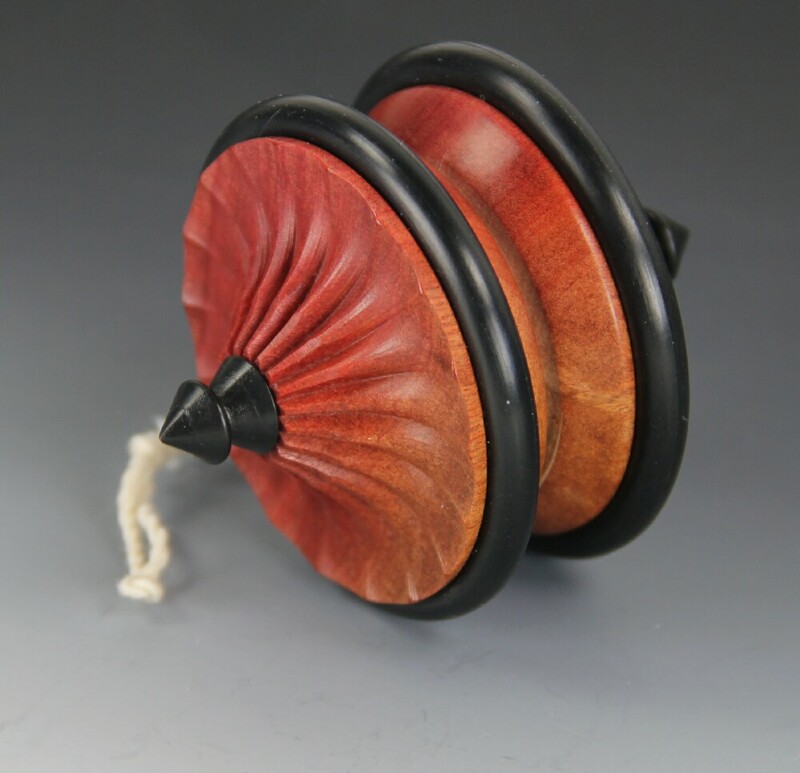 What I’m known for is the one-piece yoyo…that is, a yoyo made from a solid piece of wood or plastic, with no glue holding the sides and axle together. I’ve concentrating on building my skills and reputation around the one-piece yoyo mainly because it’s a hard to make item, and very few people do it…so there’s not much (if any) competition. And making a one-piece yoyo requires concentration, along with precise measurements. Throw in a pinch of design flair, and you may be onto a life-altering passion. Over the past several years, I’ve been developing a hybrid yoyo design called the “Terror-Top”. It’s a combination yoyo and spin top, and is unique…nobody else makes these. You may find it hard to believe, but there are actually a few very skilled yoyoist who are able to convert from yoyo mode to spin-top mode on the fly…it’s a pretty amazing trick, and great fun to watch. Why do you think it’s a good idea for men to support the handmade movement as consumers and as crafters themselves? 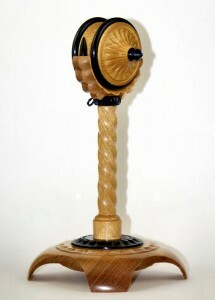 If you take a walk through my home and shop, you’ll see some of my lathe-turned works. But for the most part, you’ll see wood turnings from others lathe artists…and mostly men, as 95% plus of all woodworkers are male. I think it’s very important that we support our peers, and buy their work. Supporting other artists, buying their pieces, is a way to promote success in the trade and hobby, and often encourages development of your chosen path in unexpected ways…for example, development of new tools, techniques and training methods. All of which help ensure that the skills we’ve chosen to pursue, live on. 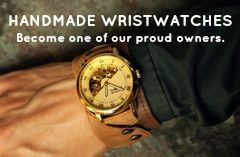 Thank you so much for connecting with us and sharing your beautiful work with the Handmade Men community! Tagged Ed Davidson, YoYo, YoYoSpin. Bookmark the permalink.